Stuart Hogg, Course Manager at The West Lancashire Golf Club, believes that ICL's H2Pro TriSmart provides him with everything he requires from a wetting agent. Founded in 1873 and featured in the top 100 golf courses in Great Britain, The West Lancashire Golf Club is one of England's truest seaside tests. 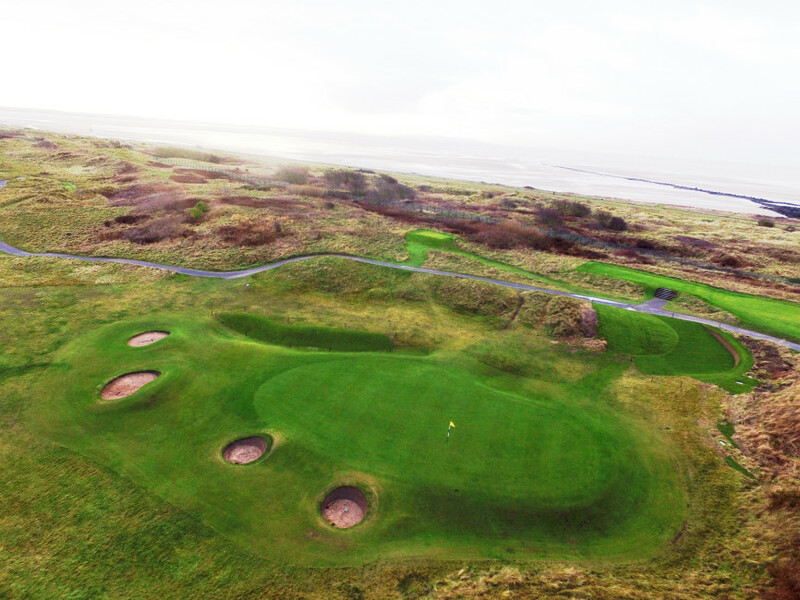 There are few golfers who come away from this revered links course, midway between Liverpool and Formby, in any doubt that every aspect of their game has been suitably examined. "The West Lancashire Golf Club is an amazing place to work," said Stuart. "It is steeped in history and very well respected. You don't appreciate how close the course is to the sea until you come and see it." "Does the sea bring challenges? No, because having grown up on Links courses I'm used to it. However, we probably dry out a lot quicker, we get wind burn, we get salt burn and we have to be more mindful of height of cuts. "Choosing products that can work to fit our circumstances is the key. I've had a lot of experience with different products and I believe in finding an optimum product range. For me, that is predominantly ICL." The most recent addition to Stuart's range of ICL products is the H2Pro TriSmart wetting agent, but it was a decision that he did not take lightly. "I used to use a different wetting agent and there was nothing really wrong with it except I felt it was perhaps just holding a bit of moisture in the top. The decision to change to TriSmart could have come back to bite me but Phil Collinson (ICL's North West Technical Area Sales Manager) had every confidence in it." "With TriSmart I believe I got everything I was looking for in a wetting agent," said Stuart. "Considering the season we encountered; we had improved rooting and I believe that was due to the fact that TriSmart was pulling the soil moisture down a little bit more. I also didn't have to hand-water those areas at all which really helped in reducing irrigation and labour. "This year we will be increasing the applications of TriSmart to use it on the greens, surrounds and now the fairways - which is a big jump for the club considering that we will be going from using it on a unit size of 4 hectares up to 16 hectares. Ultimately the club has backed me and given me the funds to commit to this increase because I have shown them the difference TriSmart can make."